Join us for the first 5k and Biergarten hosted by Serenity House. Run along the beautiful (and flat!) Lehigh Valley Trail and finish at Finn's Tap House for a German-themed post-race party. If you want the fun without the run, join us for the Biergarten beginning at 1:30pm for a German-themed buffet, beer, wine, and music. All race registrations include admission to the Biergarten, including samples of food & beverages from great local spots. All participants also receive a custom pint glass to celebrate the event! The event benefits Serenity House, a comfort care home in Victor, NY specializing in 24-hour care for terminally ill patients at the end of their journey. Join us for the timed 5k run without the post-race party. The route begins at finn's Taproom in Victor. Runners head downhill (North) along Coville St., turning Right onto East St. Runners enter Victor Municiple Park and run along the crushed gravel path and drive. At the end of the park runners turn right (just before Brace Rd.) onto Bradhurst St., following the neighborhood to the other end. A quick right on Brace Rd., up a short hill, and then it's smooth sailing on the flat and wide Auburn Trail all the way back to Finn's for the post-race party. Serenity House provides 24-hour specialized care for persons who are in their final three months of life, their families and their loved ones. Our home is an ideal alternative to hospitals, nursing homes and in-home care. It is free of charge. We are staffed around the clock by a team of fully trained volunteers and on-call medical professionals. Our care focuses on controlling pain, as well as helping residents and their families come to terms with the often overwhelming emotional issues they may encounter. Serenity House provides the care and equipment 24 hours a day for your loved one in a home-like setting. Comfort care for the terminally ill is about empowering the individual to live out their remaining days with dignity. It also focuses on helping families to savor the life that remains, coping with the dying process and providing support during bereavement. At Serenity House , people can gracefully live their remaining days without concern or fear that they will be alone or without assistance. 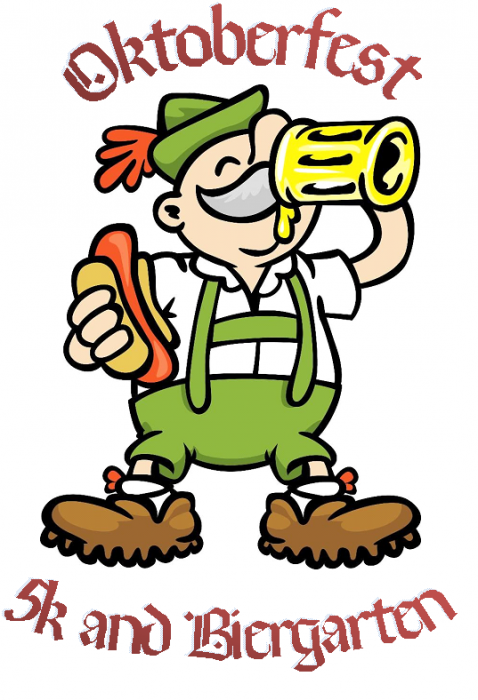 All 5k Race registrations include admission to the post-race Biergarten with a German-themed buffet, drink samples, and more. Runners also receive custom pint glass! Prices increase $5 on September 17th at midnight. Online registration closes at midnight on September 20th, and resumes the day of the event beginning at noon at Finn's Tap Room. Looking for fun without the run? Join us for the Biergarten beginning at 1:30pm. Biergarten admission includes German-themed buffet, drink samples, and more. Designated drivers & attendees under 21 save $5. Prices increase $5 on September 23rd at the door.